Diego Costa set for new Chelsea deal. Chelsea are preparing to offer a new improved deal to star striker Diego Costa, according to SkySports. Chelsea are preparing to offer a new improved deal to star striker Diego Costa, according to SkySports. 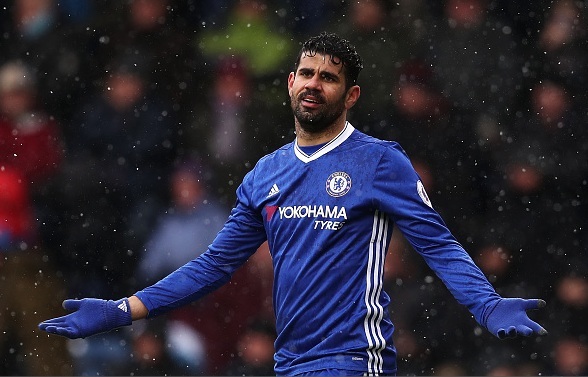 Diego Costa was linked with a move to Chinese sides in the winter transfer window but he stayed at the Premier League leaders. The Blues are keen to offer him a new bumper deal and are currently in advanced talks with the player. Costa has been exceptional for the London side, he has netted 15 goals so far in the Premier League this season. The 28-year-old has more than two years left on his current contract despite of that Chelsea are keen to seal his new long term deal. Chelsea boss Antonio Conte has also said that he wants to keep Costa for a long time despite of strong interest from Chinese giants. Costa joined Chelsea from Atletico Madrid for a fee around £30million three years ago. He has been a vital player for them since his debut. Chelsea are currently on top with eight points lead in the league and Costa is one of the most important reason. What do you think of Costa’s future? Should Chelsea sell him for big money and look for new strikers?